The researchers report the first ever detection of glycolonitrile (HOCH2CN), a pre-biotic molecule which existed before the emergence of life, in a solar-type protostar known as IRAS16293-2422 B. 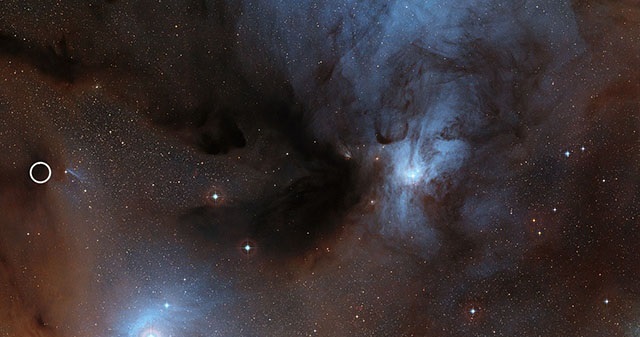 This warm and dense region contains young stars at the earliest stage of their evolution surrounded by a cocoon of dust and gas - similar conditions to those when our Solar System formed. This finding, published in the journal Monthly Notices of the Royal Astronomical Society: Letters, is a significant step forward for pre-biotic astrochemistry since glycolonitrile is recognized as a key precursor towards the formation of adenine, one of the nucleobases that form both DNA and RNA in living organisms.